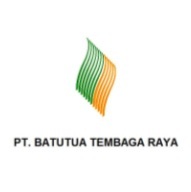 Lowongan Kerja Terbaru Agustus 2016 Batutua Tembaga Raya adalah pengelola unit pengolahan dan pemurnian (smelter) di Pulau Wetar, Maluku Barat Daya. Perusahaan bekerjasama dengan PT Batutua Kharisma Permai selaku pemilik izin usaha pertambangan (IUP) dengan konsesi lahan seluas 2.773 hektare (ha). Kedua perusahaan adalah anak usaha Finder Resources Ltd yang bermarkas di Australia. Sebelumnya, Batutua juga telah menyelesaikan uji coba pengoperasian smelter mini plant dengan kapasitas produksi 3.000 ton per tahun. Berdasarkan hasil comissioning itu, perusahaan telah memproduksi 2.440 ton tembaga batangan. Seluruh volume produksi akan dijual di pasar ekspor. Sementara Batutua menargetkan total produksi dan ekspor tembaga batangan mencapai 9.000 ton. The Information Technology Superintendent reports to the IT Manager and provides hardware and software maintenance, training and consultation, and recommendations about future planning and development of resources. Providing these services in an effective and efficient manner will ensure maximum access to and implementation of technology services and resources. Min. Bachelor Degree in Science Computer or Equivalent. Min. 8 years experiences in ICT. Work in detail, time manageable and target oriented. Good behavior, open, honest and proactive. Able to working under pressure to meet delivery time. Strong in computer hardware, Software system, computer program & networking and understanding of the northern network installation. Maintain, monitor and review all environmental issue in company’s project locations to ensure that all company’s operation are harmless and harmonious with the environment conform with company’s HSE policies, government environmental regulation and client requirements. Male/Female, maximum 30 years old. Bachelor Degree, Majoring in Faculty of Forestry or Environmental Engineering. Min. 1 years’ experience as environment officer preferably in mining company. Understanding about all environmental norms. Able to handle the groups. Has good computer skills (MS Office) and communication Skills. Proactive, hardworking, disciplined, results oriented and able to work under pressure. Strong leadership, Dynamic, and detail. Diploma 3 or Bachelor degree in relevant social science. Minimum of 5 years’ experience in corporate social responsibility and stakeholder relationship. Good interpersonal and public communication skills. Excellent knowledge of community organizations and ethnic and traditional groups or associations. Role of this position is responsible to plan, organize and control the activities of the PT BTR/PT BKP Contracts section and manage commercial aspects of all contracting activities throughout all user departments in accordance with PT BTR/PT BKP standards, policies and procedures, Indonesian Law and Contract of Work while at the same time ensuring a high level of support and transparency to user departments for contract bidding, negotiating, preparation, administration and management and applying an ethical, efficient, risk managed, consistent and cost effective approach at every stage of the process. The Contracts Department is responsible for all site Contracts which encompass a full range of services across the whole Water operation and can vary greatly in scope of work, criticality, value and risk profile. All of these contracts no matter the size, complexity and value contribute to the successful. Graduated from Degree in business, law, engineering or equivalent. Certified professional in Contracts & Procurement with a strong focus on Contract Law, Contract drafting and regulatory compliance. Minimum 15+ years’ experience in contract management within a medium to large mining operation including project construction. Experience in high dollar services and preparing complex services or Contracts. Sound understanding of relevant Indonesian business, legal system, company law, immigration, manpower, tax, importation, mines and energy regulations. Contract writing, including technical capabilities, Scope of Work (SOW) and commercial terms & condition. Strong Contract Management skills. Able to competently manage the contractor and ensure compliance to contract terms and conditions. Well-developed computer skills to be able to implement and maintain effective processes and procedures. Strong analytical capabilities and negotiating skills, sound business sense, advanced English language documentation skills with high attention to detail.